Heroes Among Us is a free event that highlights resources available for Veterans and Active Duty Service Members and their family members. Visitors will have the opportunity to meet with representatives from federal, state and nonprofit organizations. There will be informative talks, a free yoga class, service dog demonstrations and “behind-the-scenes” tours of the Museum’s future galleries. 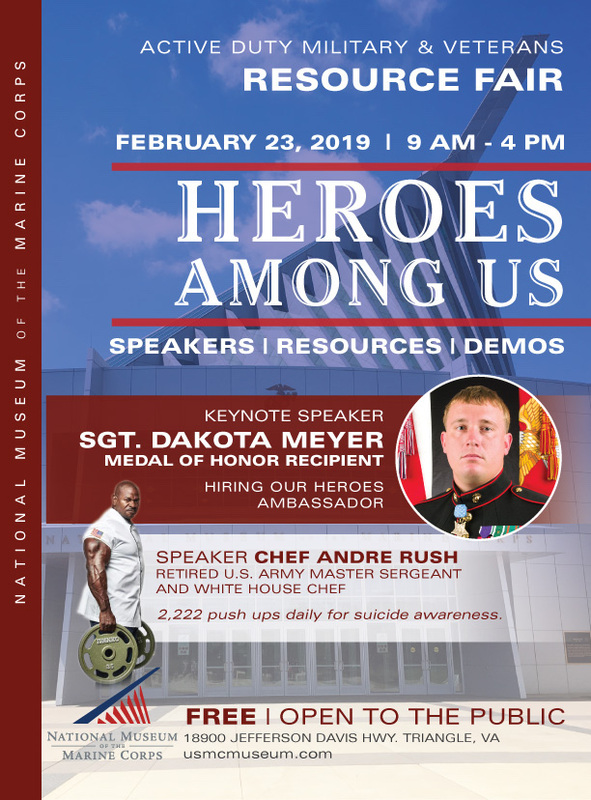 Chef Rush, a key supporter of the USO campaign flex4forces, will be sharing with visitors why he does 2,222 push-ups a day to promote suicide prevention. Visitors are invited to join him in the push-up challenge!